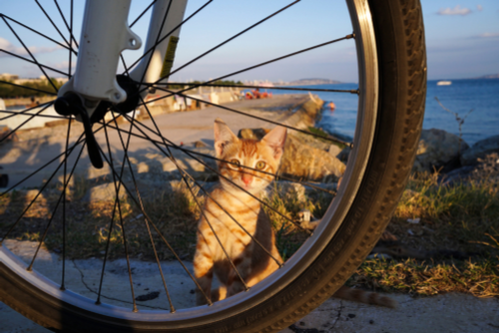 WHEN cyclist Ozgur Nevres found an abandoned and starving kitten, he knew exactly what to do. He scooped up the cute tabby and placed her inside his jersey for the rest of his ride and created one of the cutest animal videos ever. The tiny kitten peered out lovingly at her new owner who had saved her from starving to death. Ozgur found the kitten abandoned near an airport in Turkey where he had stopped for a rest. The tiny animal seemed to know instinctively that Ozgur was rescuing her. After getting home and giving the kitten food, water and a safe place to spend the night Ozgur found her a home by going on a pet adoption website. Milia, as the kitten is now known, is safe and sound.